Many people are familiar with Cedar wood for its common uses. Cedar is typically found in outdoor furniture and structures surviving through sun, rain, and snow as well as the wood that saunas are lined with holding up against constant humidity and heat. So what is so special about cedar that makes it so resistant to weather? To better understand Cedar’s remarkable resistance to the elements we will need to understand more about the wood itself. Western Red Cedar and Northern White Cedar are coniferous members of the Cypress family Cupressaceae. The Western Red Cedar tree, or Thuja plicata, primarily grows in the Pacific Northwest region of the US. The Northern White Cedar tree, or Thuja occidentalis, primarily grows in Eastern-Southeastern Canada and adjacent states of New England and the Great Lakes region west to Minnesota. Western Red Cedar is a large-to-very-large tree and can grow in some areas up to 230 ft. tall. It is also long-lived and some trees can live well over a thousand years, with the oldest verified being 1,460 years old. By contrast, Northern White cedar is a smaller tree and commonly grows up to 50 ft. tall, but a few trees can grow as large as 80 ft. It grows relatively slowly in swamp areas or on other saturated lowland sites and some trees can reach the ages of 400 years and greater in these habitats. One tree from Ontario was dated at more than 1,650 years old. Both species produce the distinct “cedar” scent. This is caused by the oils and acids produced by both wood species. These are known scientifically as “polyoxyphenols” which give cedar its distinctive and pleasant aroma. The “phenols” also are responsible for Cedar’s natural resistance to moisture, decay and insect infestation. The natural resistance provided by the oils and acids are what make these species more popular in outdoor applications. Properly finished, cedar will last for decades even in harsh environments. Western Red Cedar is one of the world’s most durable woods, as it has a natural resistance to moisture, decay and insect damage. It has twice the stability of most commonly available softwoods due to its low density and shrinkage factors. It produces long, lightweight lengths of timber with a fine straight grain and uniform texture. This makes it easy to cut, saw and nail with common tools. It also can be planed to a smooth surface or machined to any pattern. It can hold glue bonds and also provides a good base for many types of paints and stains since it lacks pitch and resin. It is also valued for its distinct aroma that is commonly believed to discourage moth and carpet beetle larvae infestations. All of these factors make it the premier choice for either interior or exterior home use. Northern White Cedar is the lightest of any commercial wood in the United States. It is even-grained and finely textured. The heartwood is resistant to decay and subterranean termites. It is easy to work, glues well and holds paint well. It also experiences little dimensional change, but it should be noted that the wood is soft and has low mechanical properties such as bending strength and nail-holding abilities. 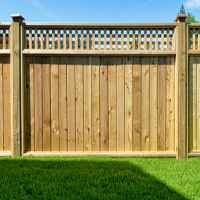 The wood has been primarily used to make rustic fencing and posts, but can also be used for cabin logs, lumber, poles, shingles, and other specialty type products. If you’re thinking about starting a project with Cedar you may need to know the moisture content of the wood before beginning. Cedar’s natural longevity can be drastically shortened if not taken care of. If you want to get the longest life out of your cedar project, consider basic moisture content (MC) measurement and management. All wood species, even cedar, are subject to natural processes. Moisture resides in the walls and in the nuclei of all wood cells. Once a tree is cut and kiln-dried, its MC still fluctuates according to changes in the relative humidity (RH) and temperature of its surrounding environment. This is especially pertinent to cedar users because so many use the wood outdoors. Wagner Meters produces several moisture meters for wood, depending on the application. 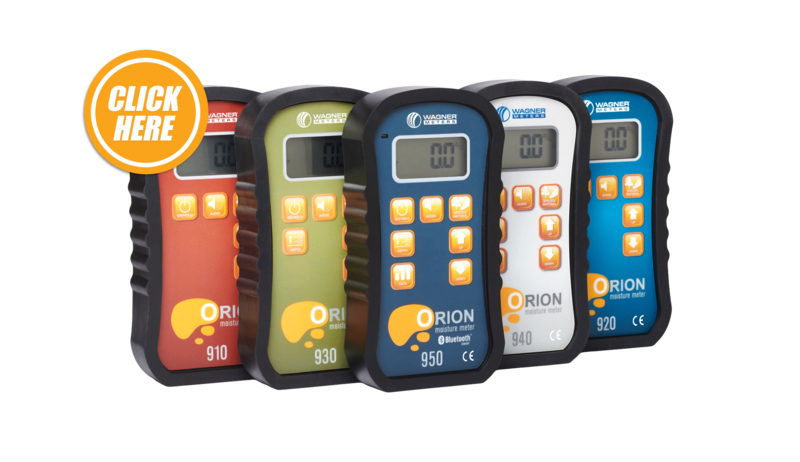 The Orion® 930 Dual Depth Pinless Moisture Meter is the replacement for the popular MMC220 legacy meter. The Orion 930 measures the MC in common softwoods (such as cedar), hardwoods and also exotic wood species at 2 different depth settings. Even do-it-yourself wood flooring restorers could utilize the Orion 920 shallow depth meter to determine when the wood flooring surface has acclimated properly. Do your part to protect the longevity of your cedar. Measure its MC before leaving it to the elements. My name is Michael and I am the sustainability coordinator for the University of Washington. We are currently building a computer operated solar kiln and we have some questions. We would like to set it to a standard temperature and humidity and were wondering if you had any recommendations? I suggest that you contact the Oregon State University Forest Products Department if your own Forest Products department cannot provide some guidance. What was done with the tree found dated so old in Ontario?